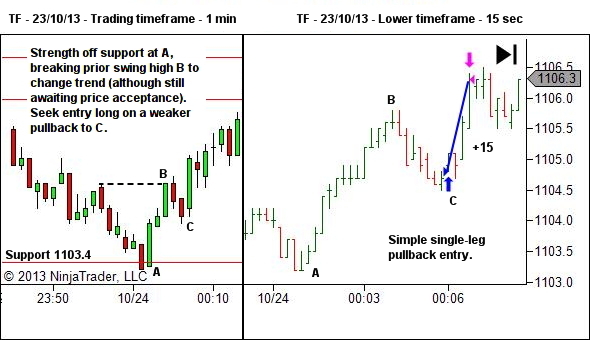 Always consider taking the very first pullback after a structural change, such as change of trend, confirmed breakout or confirmed reversal from a support or resistance area. It's no Holy Grail. As always you need to read the environment correctly. Sometimes there will be losses. Keep your focus on the longer term stats (as discussed here). 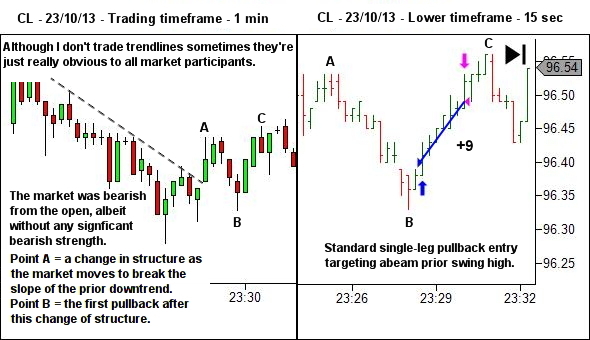 Maintain a good read on the structure of the market. 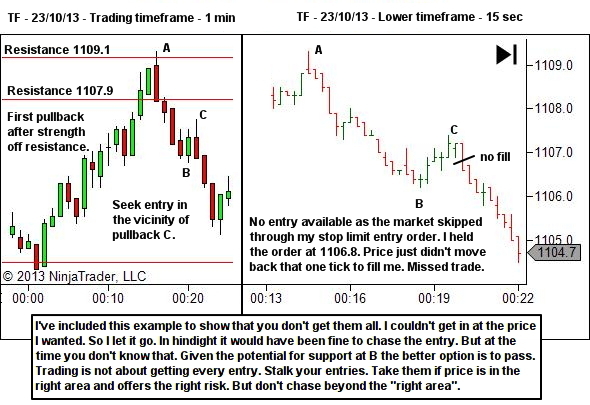 And consider trade opportunity whenever the market provides a first pullback after structural change… provided you can get in at the right area… and at the right risk.